Giorgi Lortkipanidze wished good luck to his colleagues and said he believed in the future of Ukraine and Odessa. Chief of the National Police in Odesa Region Gen. Giorgi Lortkipanidze resigned. "For me, it was an honor to work as the chief of police of Odesa region. Everything in life has a logical beginning, continuation and the end. 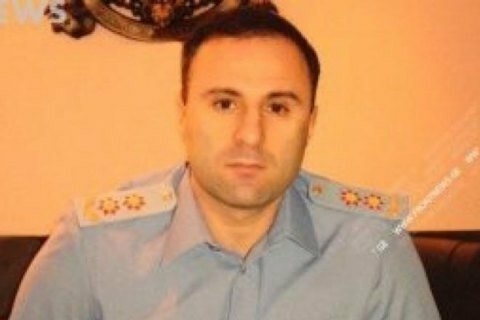 After year and a half since my appointment as head of the Odesa police, I decided to leave his post," Lortkipanidze said in a farewell video address posted on the department's website on 7 November. He wished his fellow police officers good luck and said he believed in a better future of Odesa and Ukraine. was appointed the head of police of the Odesa region in June 2015, weeks after the appointment of Mikhail Saakashvili as head of the region. Saakashvili has developed tense relationship with Interior Minister Arsen Avakov. In December, at a meeting of the National Council for Reforms the two officials got to loggerheads in the presence of President Poroshenko, and the minister threw a plastic cup with water at the governor . In February, several departments of Odesa police were subordinated directly to the minister. In response, Lortkipanidze described those departments as the main source of corruption.